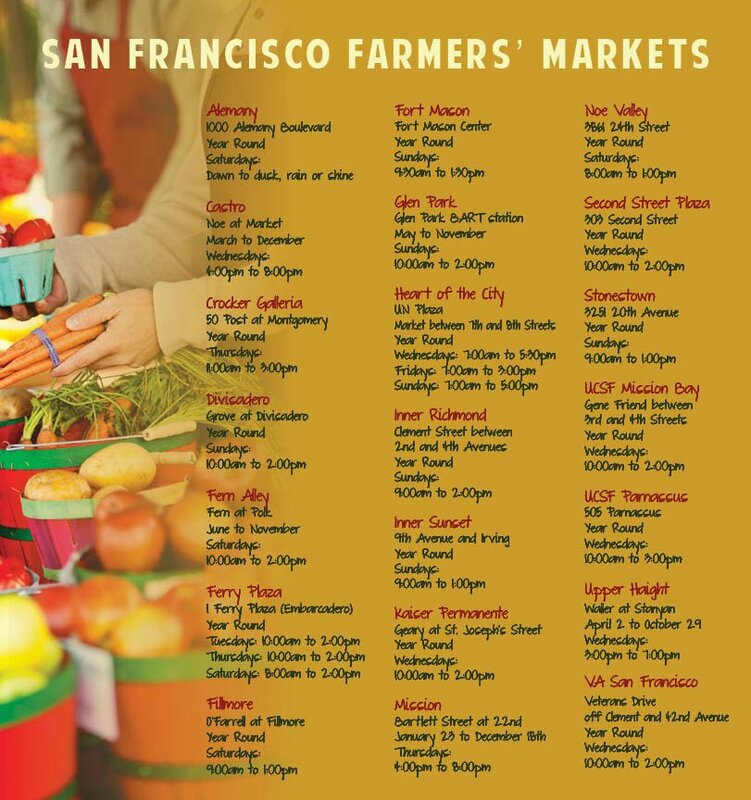 We can think of few things more insanely misguided than voicing our opinions about the best place for burritos, breakfast or coffee in San Francisco. This is only a menu of options for your consideration. Click on the links to go to the online resources for each category. 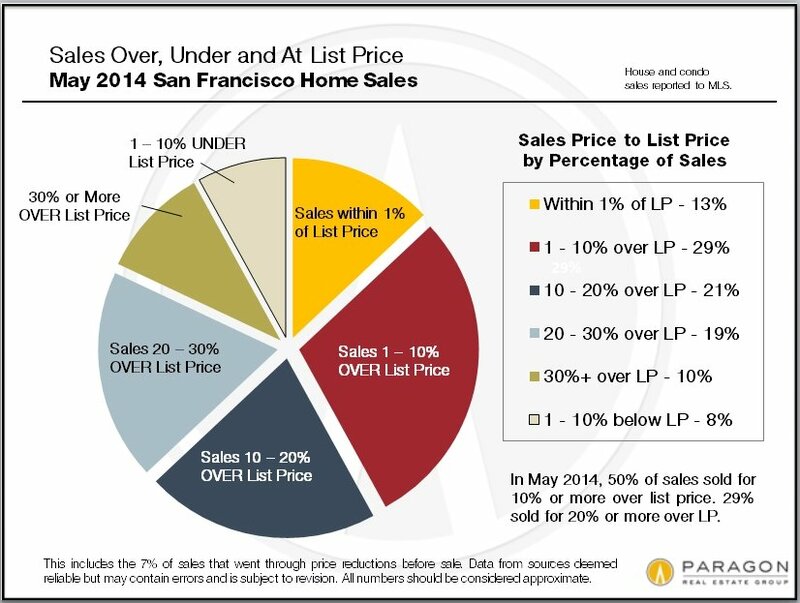 The pie chart combines house and condo MLS sales for May. The construction boom that ended in 2008 changed the city and its housing market. 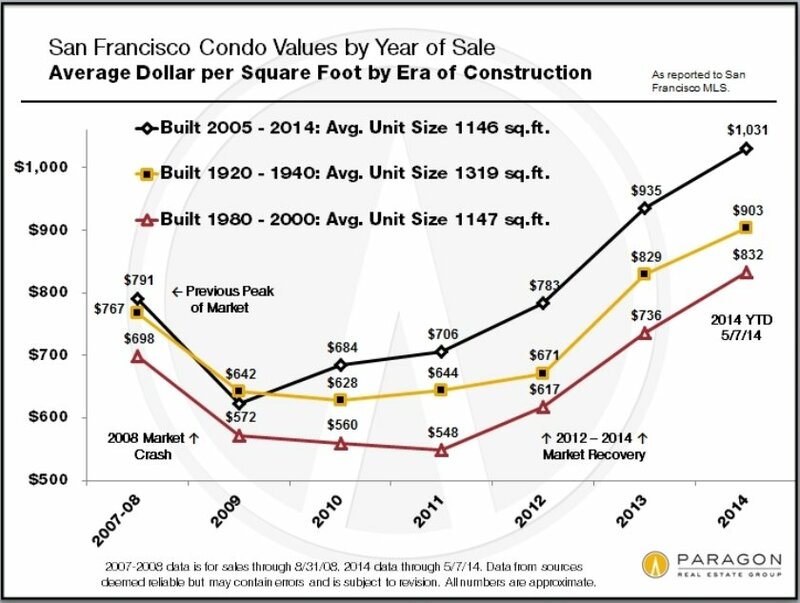 Condos now outsell houses in San Francisco. 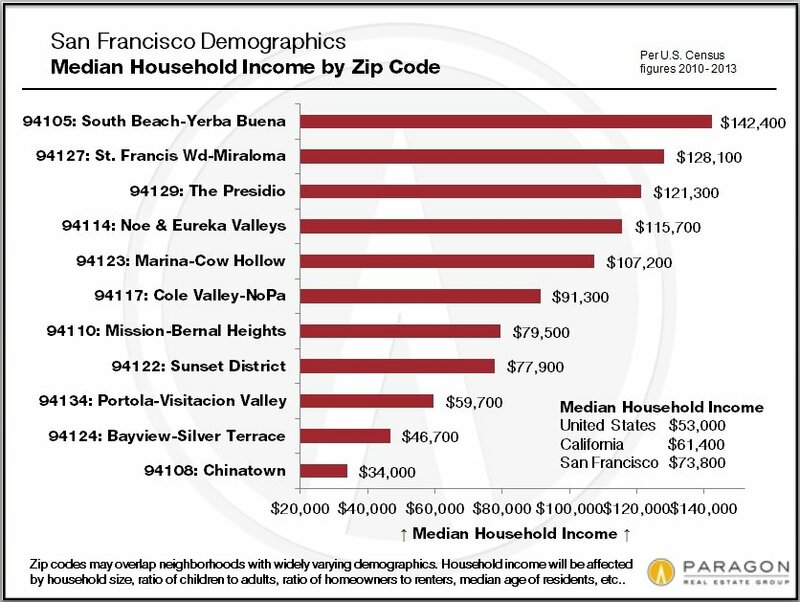 The South Beach-Yerba Buena zip code, previously a commercial area filled with parking lots, now has SF’s highest median household income. Mission Bay was born. And our skyline has been altered with dramatic, new high-rises like the Infinity Towers and Millennium. That boom died with the 2008 market crash. But now with the city’s economy, employment, population, rents and home prices all surging to new heights, new home construction is booming again. Will increasing numbers of newly built condos and apartments cool our overheated real estate market? One would think it would have to – eventually. But the large projects announced weekly can take years to turn into actual housing units. What if local high-tech industry, jobs and housing demand continue to grow alongside increasing supply? And our financial and real estate markets are influenced by so many complex, fluctuating economic, political and even natural-event factors, that it is very difficult to make meaningful predictions (despite how much “experts” love to make them). One thing we can predict: San Francisco will continue to change in unexpected ways, and it will remain an extraordinary place to call home. Premium Values for New Construction Much of the city’s new construction is occurring on parcels that were previously commercial-industrial, often on busy urban streets and/or in relatively neglected sections of the city – places that not so long ago might have been considered subprime locations for residential development. That has flipped 180 degrees: Wherever they are, most of these new projects are selling for prices rarely, if ever, seen before in their respective neighborhoods and bringing in new populations of typically young, affluent buyers. For good or ill, or both, depending on how you feel about this phenomenon, these developments are altering the cultures, demographics, commercial districts and home values of the neighborhoods they’re sprouting up in. Perhaps the biggest common denominators of these properties are dramatic architecture, full service amenities (doormen and such), and the prevalence of spectacular views from many of the units. Eight of these properties didn’t even exist before 2000 and now they dominate the list of most expensive condo buildings in the city. Of course, excluding smaller buildings with only a sale or two per year rules out the vast majority of condo buildings in older neighborhoods, but it’s still astounding to see the impact of the previous construction boom on this market segment. 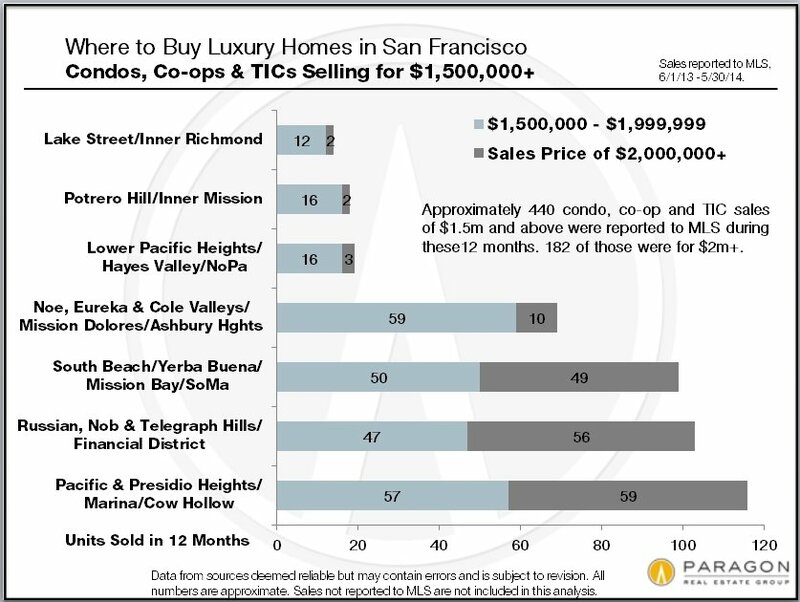 Even though the newer South Beach-Yerba Buena district dominates the list of most expensive condo buildings, older-prestige neighborhoods such as Pacific Heights and Russian Hill still have more luxury condo sales – for the time being. Though there is the odd high-rise, they’re typically in smaller, older (though beautiful) buildings, with a completely different architectural feel from the developments of the last 10 – 20 years. The first golden age of SF apartment buildings – some of which were turned into condos and many of which remain rent-controlled apartments – was from 1920 to 1940: The units in these buildings are large, light, gracious and filled with elegant detail. Pacific Heights, the Marina, Russian Hill and Lake Street are filled with these buildings. Though there are beautiful apartments built in other eras (Edwardian flats, Art Deco apartments), the second golden age really arrived with the latest burst of new-condo construction since 2000: These units are ultra-modern and feature highest quality finishes and amenities. They are exemplified by the luxury, full-service high-rises of the South Beach-Yerba Buena area, though variations on this theme, in non-high-rise form, have been springing up all over the city. 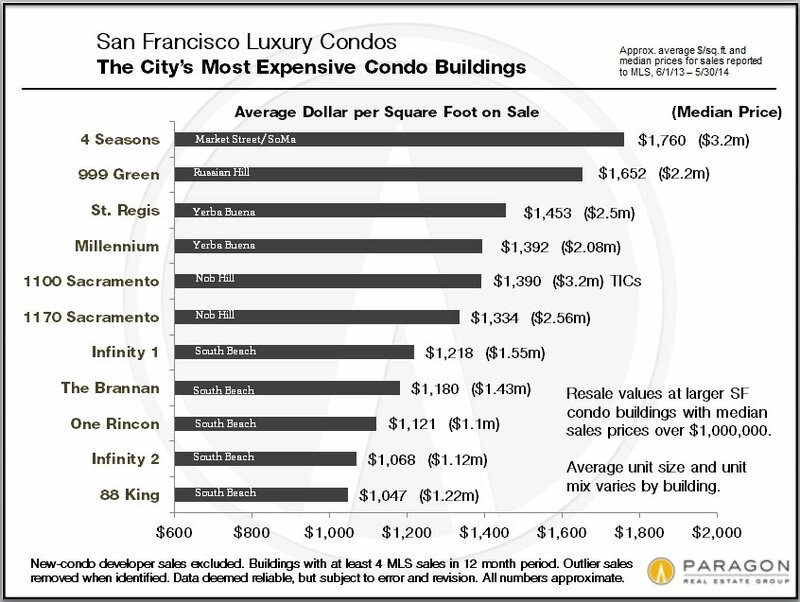 As seen in this chart, they command a premium in dollar per square foot value. A residential district that didn’t even exist 20 years ago now dominates condo sales in San Francisco (and there are big, new projects still under development there). To a large degree due to the availability of large, developable (previously commercial) lots and higher-density zoning, new housing construction is now concentrated in areas such as the Market Street and Van Ness corridors, SoMa, the Mission, Hayes Valley, Dogpatch and Hunter’s Point – and often in previously neglected or distressed corners of such areas. 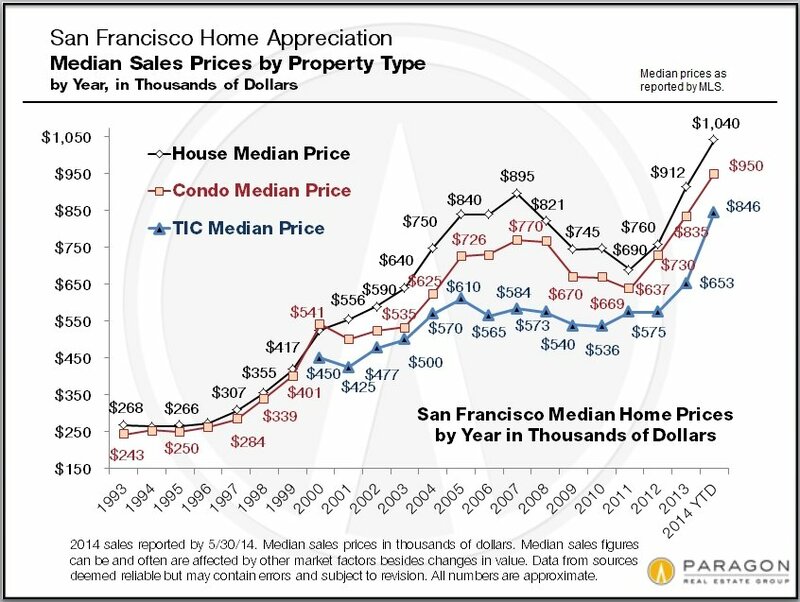 A glance at the last 20 years of San Francisco median home prices for houses, condos and TICs: Our recovery since 2012 has made up all the lost ground from the 2008 crash, and then some. Note that median prices are often affected by other factors besides changes in existing home values – new-construction condos hitting the market in large quantities, for example – and should be considered as generalities only. 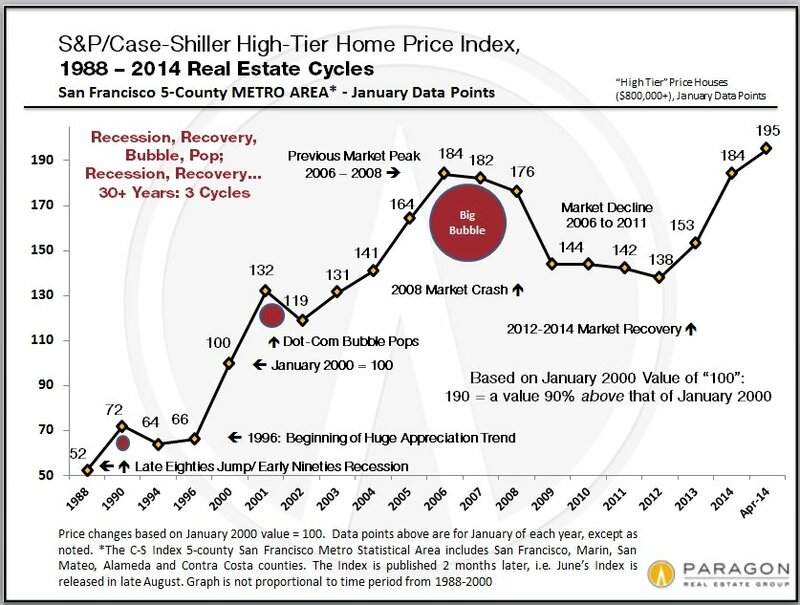 Still, the overall trend lines do illuminate the recent cycles in the city’s housing market. 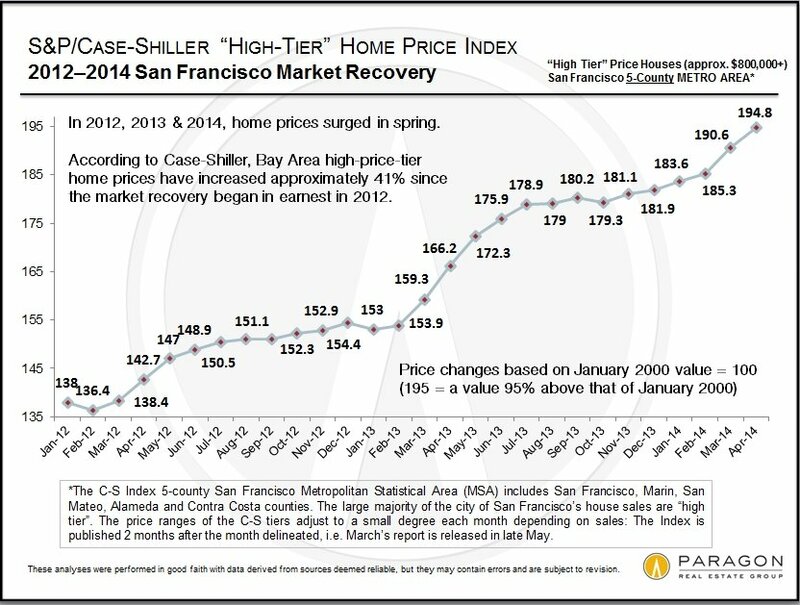 TICs are a relatively small portion of the market and their huge 2014 YTD surge should be taken in context: Just deleting 8 extremely expensive sales at 1100 Sacramento on Nob Hill drops the TIC median price by almost $50,000. For well over 100 years, Potrero Hill’s real estate market was one thing; now it is another. Prior to the tech boom of the 1990s, Potrero was a place to find modest Victorian and Edwardian homes in various stages of disrepair. Often their spectacular views — of downtown, Twin Peaks or San Francisco Bay — were at odds with their modest price tags. Just as often as not they’d been in one family for generations or had been purchased for a song by counter culture pioneers in the 1960s. That all changed in the 1990s, when Potrero’s proximity to tech start-ups made it a prime target for renovators and developers. “Multimedia Gulch,” a tech start-up friendly segment of SOMA, grew by 6,000 jobs between 1994 and 1998. Not coincidentally, the northern border of Potrero Hill, once crammed with warehouses, is now a hotbed of condo and apartment complexes dating back to the mid-1990s. 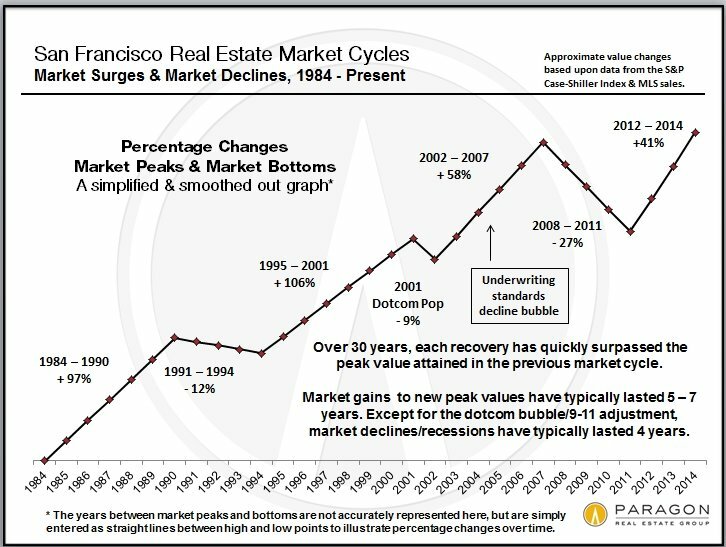 So comprehensive was the change that today, 20 years past the dawn of the dotcom peak, the majority of available homes on Potrero Hill is condominium units. Almost all, save for a few buildings constructed in the 1970s and 1980s and “The Hill’s” extant collection of multi-unit Edwardians, date back no further than 1993. 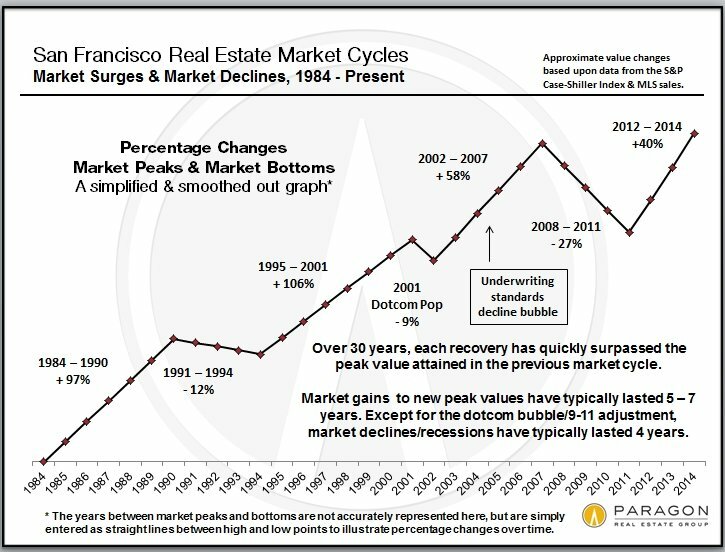 Potrero’s housing revolution did not end when the dotcom bubble burst. Development continued into the 2000s – up to and including the present. Business is brisk right now, with Onyx, a development located at 415 De Haro and featuring 20 one- and two-bedroom condo units, nearly sold out. Construction of Onyx Phase 2 is under way with anticipated completion in fall 2015. 12 more units are planned next to the old Double Play Bar and Grill at 2401 16th Street. Early-stage plans are underway to build 315 apartments on Mariposa Street, directly across the street from the Jackson Playground, and EQR, with 493 residential units, 39 commercial units and a park, just received its permits at 1000 16th Street (once the site of the Glidden Paint factory) after almost a decade of trying. Potrero’s 1990s real estate reinvention ranged past the mass introduction of high-end condominiums; concurrent with the arrival of developers was the discovery of the neighborhood’s single-family homes as historic gems ripe for restoration and renovation. Faced with the reality of enormous profits, many long-time residents chose to cash out, raising the neighborhood profile to the point it remains at today: as a stylish, sunny, convenient, family-friendly place practically overflowing with beautiful historic homes and sleek modern condos. The incredible views –Potrero properties feature some of the city’s finest downtown skyline views — don’t hurt, either. 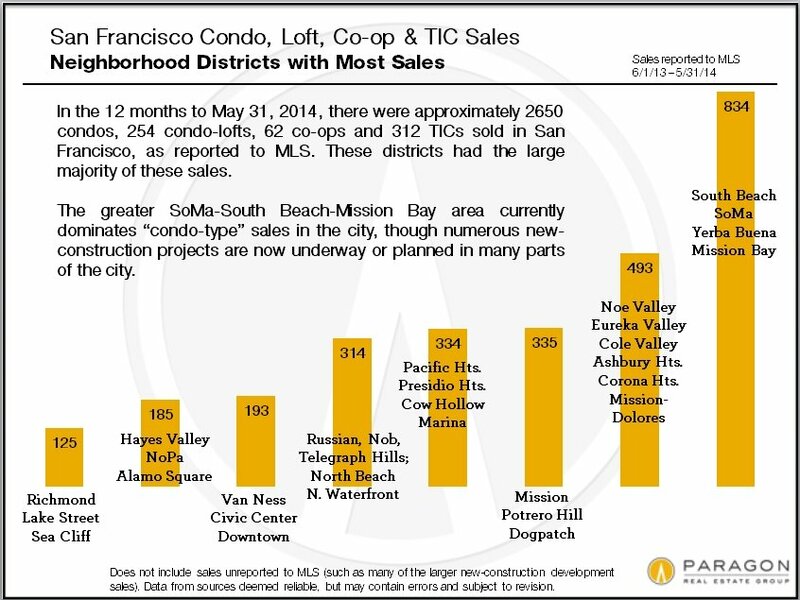 In 2014, Potrero Hill’s for-sale real estate market is dominated by condominiums. 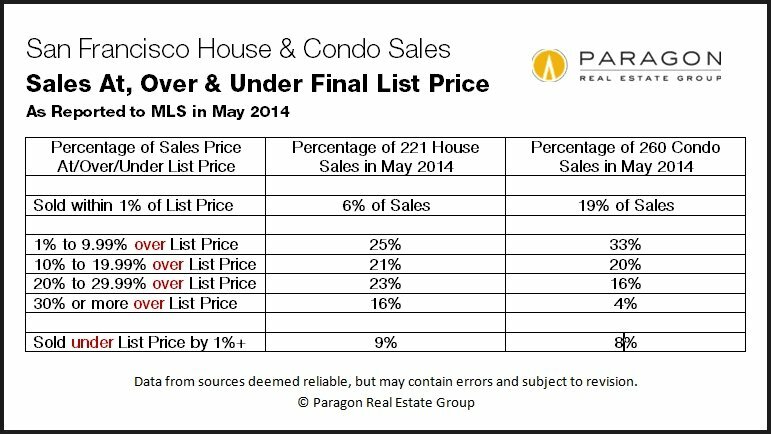 In May, the ratio of sold condos to sold single-family homes was 16:3 (the district also recorded sales of two multi-unit buildings; it had no closed sales of Tenants-in-Common units, though there are some TICs on Potrero Hill). Potrero condos come in a variety of sizes, from studios all the way up to three- and four-bedroom units larger than some neighborhood single-family homes. They command prices above the citywide median. Seven-figure condo price points are becoming the norm on Potrero Hill, not the exception. As for single-family homes, there are some spectacular examples of both historic and ultra-modern architecture on Potrero. Modern homes tend to capitalize more on The Hill’s spectacular views and maximize square footage, often employing unique solutions to steep hillside lots. 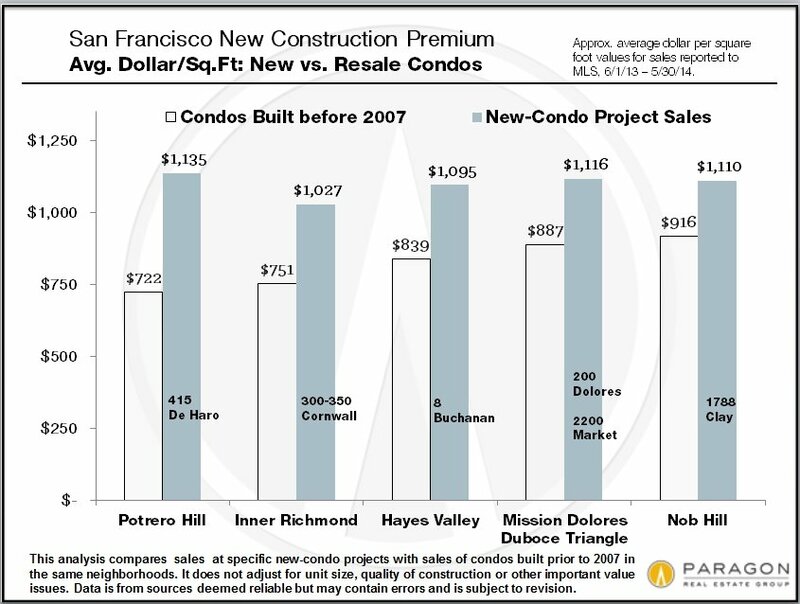 Meanwhile, Potrero’s original Victorians no longer fit into the “working-class” paradigm, routinely commanding prices well over $1 million. Many have become showplaces. Potrero Hill is a long way from becoming the next Pacific Heights or even the next Russian Hill, but it might be on its way to becoming the next Noe Valley. With a great location and a lack of fog, great views, a thriving commercial strip featuring a broad range of restaurants and an eclectic combination of housing including Victorians, Edwardians, historic multi-unit buildings and new condos, it’s journey of the past 20 years appears to have ended with it taking its place among San Francisco’s desirable neighborhoods. Over the past 30+ years, the period between a recovery beginning and a major “market adjustment” (or bubble popping) has run 5 to 7 years. We are currently about 2.5 years into the current recovery. Periods of market recession/doldrums following the popping of a bubble have typically lasted about 4 years. (The 2001 dotcom bubble and 9-11 crisis drop being the exception.) Generally speaking, within about 2 years of a new recovery commencing, previous peak values (i.e. those at the height of the previous bubble) are re-attained – among other reasons, there is the recapture of inflation during the doldrums years and simple pent-up demand. Our complete article on market cycles can be found online here.